(my husband and our adult son) finally managed to go to the Eden Roc Hotel after staying several times at Castello Del Sole Hotel and – some more time back – at the Giardino Hotel. 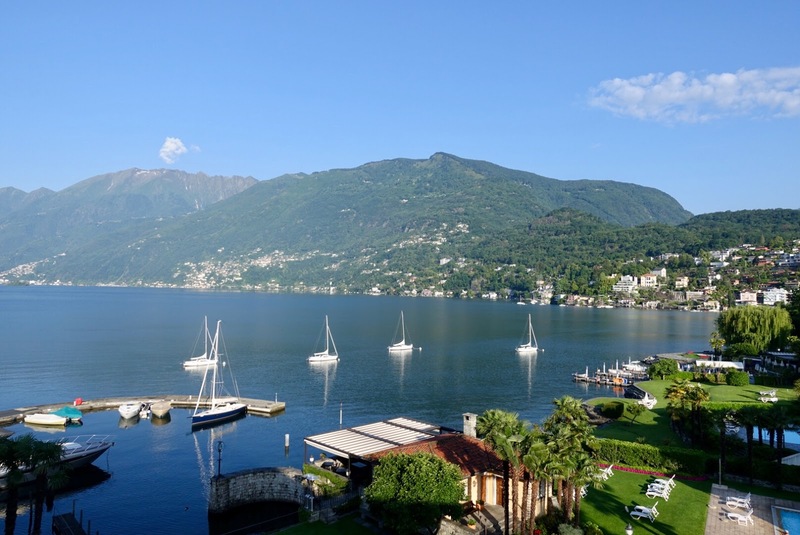 The popular tourist destination of Ascona in the immediate vicinity of Locarno, the third largest town of the canton of Ticino, is located on the northern shore of Lago Maggiore (Lake Langen). It has the lowest elevation in Switzerland (196 meters/643 feet above sea level) and is famous for its mild climate, its beautiful old town and its multi-hued house parade along the lively lakeside promenade. 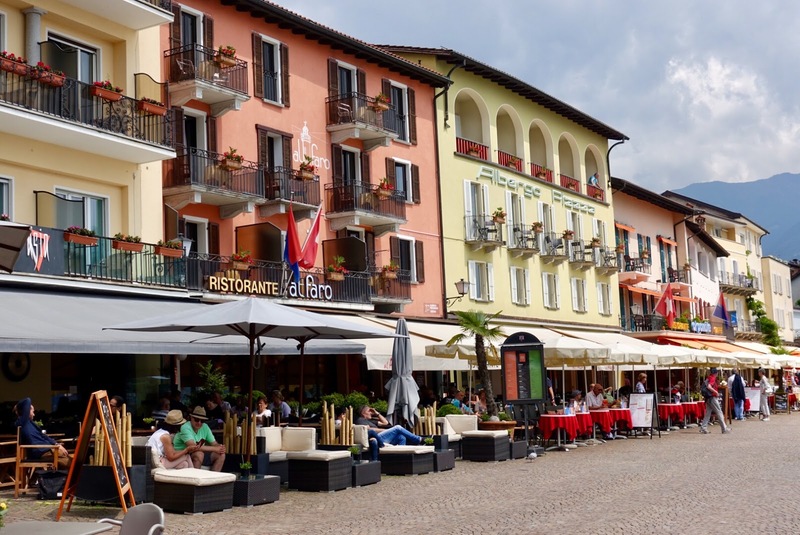 The town of Ascona has been a favorite in my family for years for summer vacation with a focus on sun bathing, being in and on the water as well as hiking. 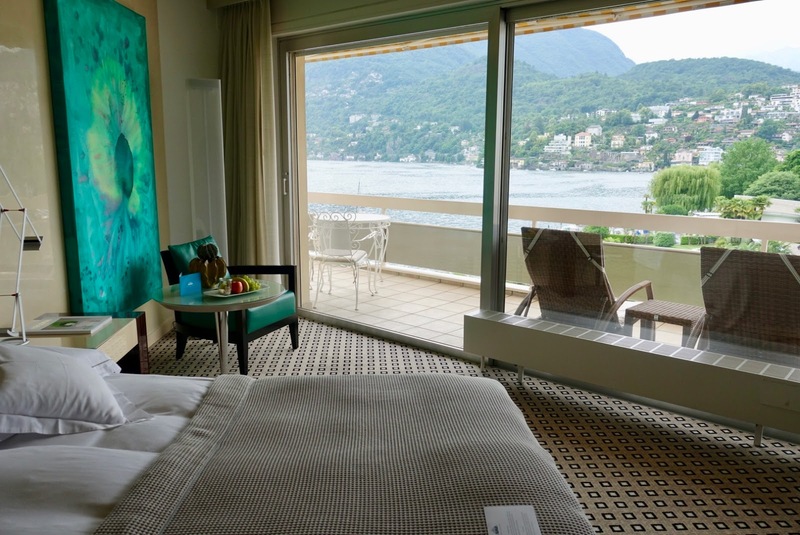 As mentioned, there are three luxury hotels in Ascona and while all of them are very good choices for staying in style, they differ in several aspects. What they all have in common is the fact that they all have a patron and that they are all part of a small, privately-owned hotel group. 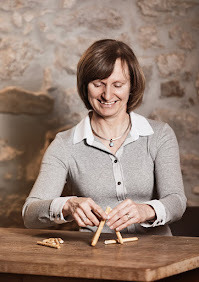 I start with the hotel where my first stay took place many years ago and also the one where I have been most, the Castello del Sole (see also my review). 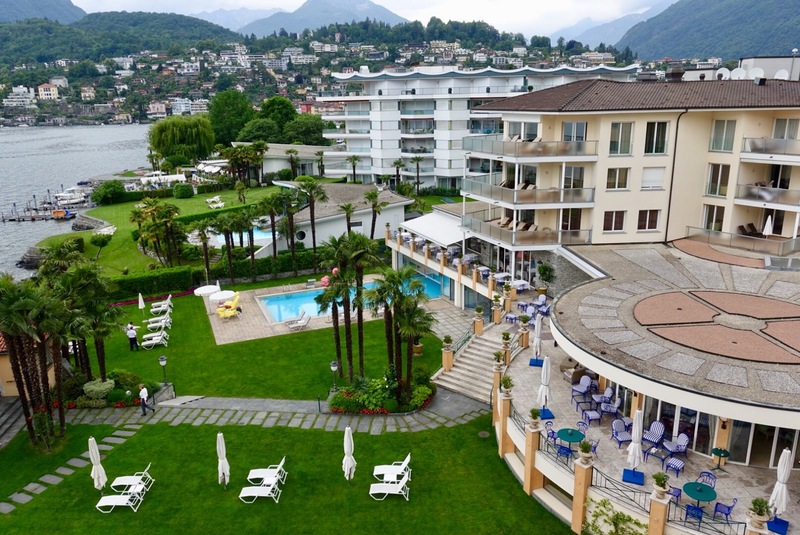 The biggest asset here is by all means the most beautiful hotel park in Switzerland I know and this with its own private beach (100 hectares/250 acres). The building complex is a gem, old and new houses are combined to create an atmospheric image. What I always like here, is the hotel’s understated luxury. The long-time hosts, Simon and Gabriela Jenny, are gracious and accommodative. As a fine food lover, you are here at the right spot. As from 2017, a new chef is at work, Mattias Roock, and from what I hear, he does a good job. 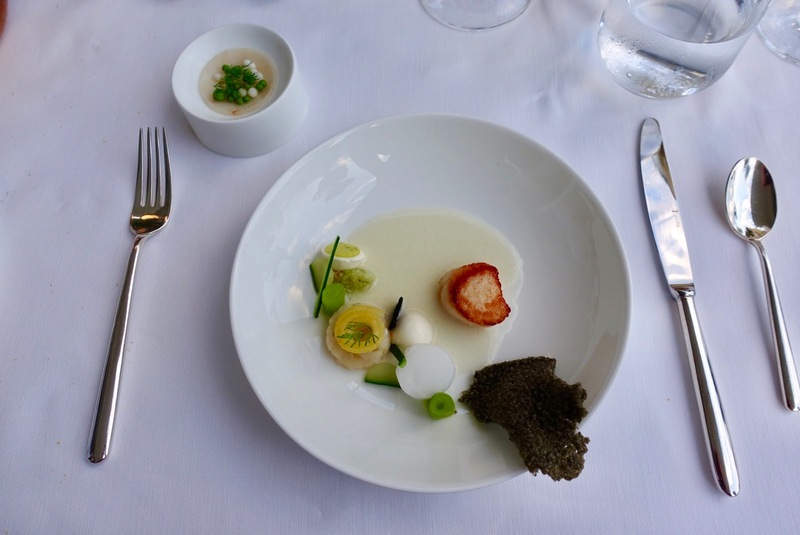 The signature restaurant is awarded one Michelin star and 17 Gault Millau Points. 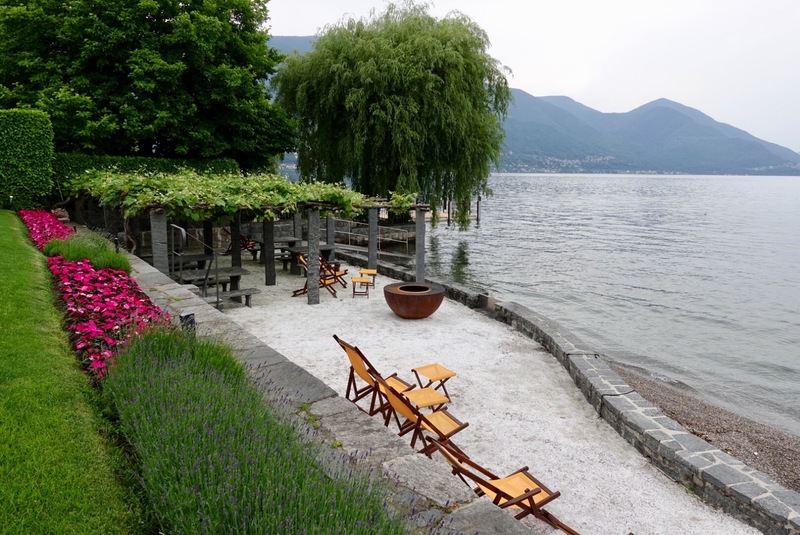 Do not miss the great outdoor lunch in Ristorante Parco Saleggi, which is not only a treat but also reasonably priced when you are on full board! 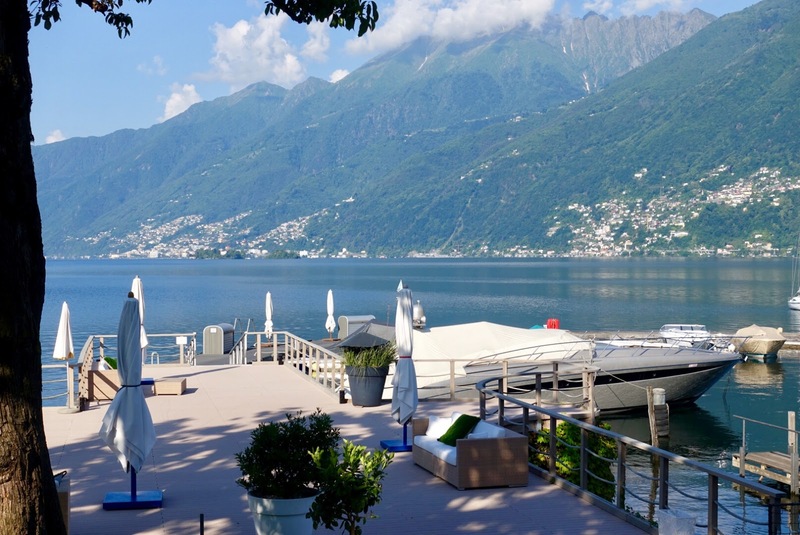 A minor drawback of the hotel might be its location a bit away from Ascona’s center. You can reach it in a scenic walk along the lakeshore of about 30 to 40 minutes. Regarding the second hotel, the Giardino, I have to admit that my last stay here dates back some years, so I cannot comment how it feels like being a hotel guest here right now. 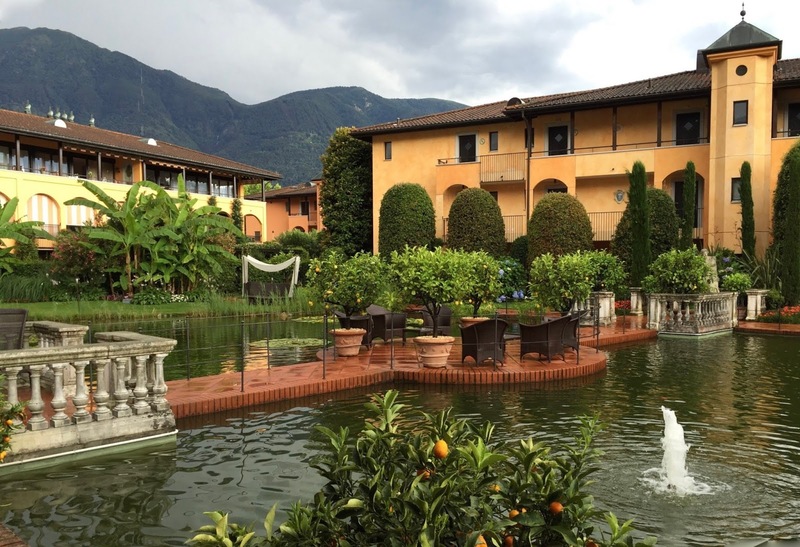 The hotel is located near the Castello del Sole Hotel, but its grounds are not that extensive. 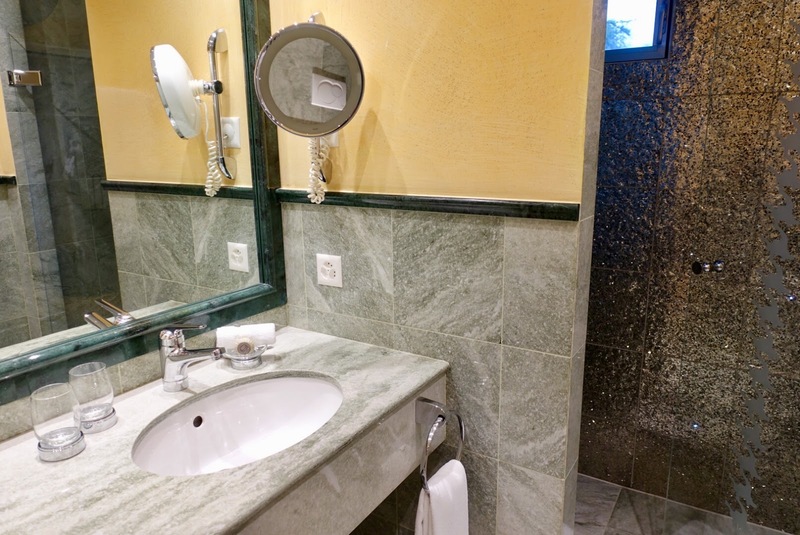 The Tuscany style buildings are located in a residential area adjacent to the golf course with beautifully landscaped gardens complete with a water lily pond. 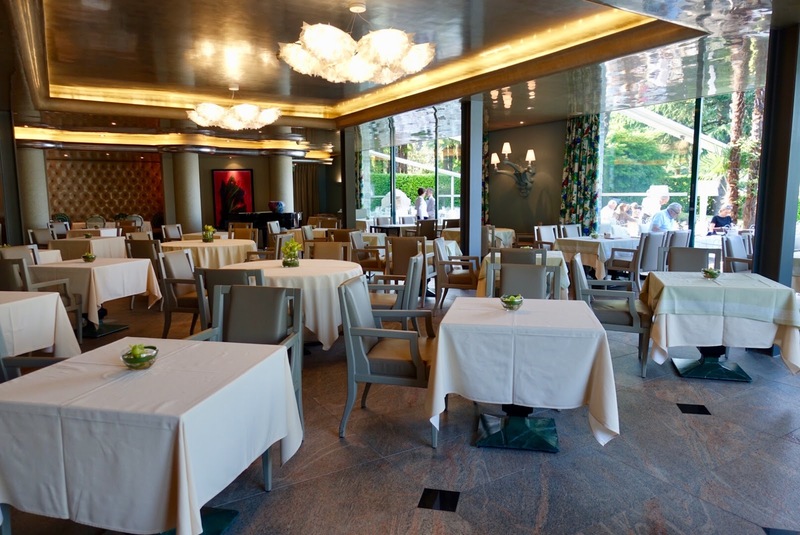 There is much on offer for foodies, the flagship restaurant is even awarded two Michelin Stars and 17 Gault Millau Points. A slight drawback of the property is that it is located a bit remotely, away from the town center. Even more matters the fact that the Giardino has no lake access as its two local competitors in the same segment. 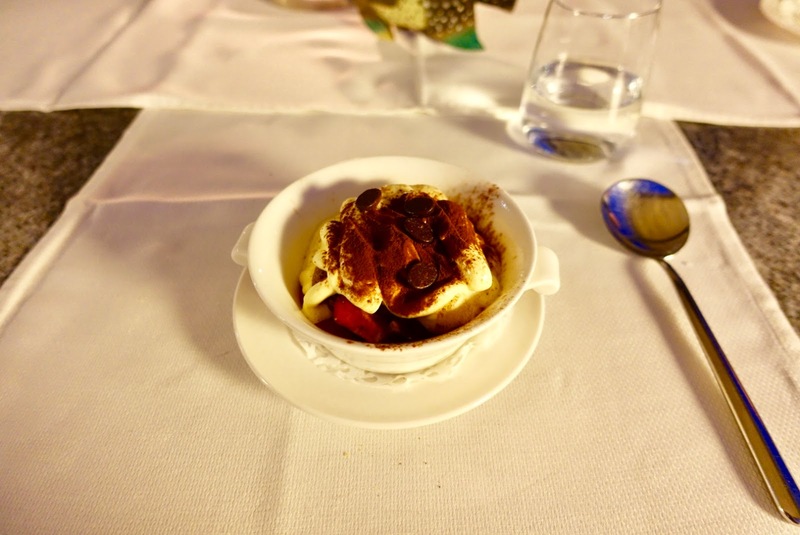 This was our choice for a recent stay in Ascona and this for the first time ever – although there were two situations in the past where we planned to go but then something else came up. Anyway, here follows my review of this hotel. So much can be said, we enjoyed our stay at this hotel that stands out for its unrivalled setting and its comprehensive offer, be it culinary wise or when it comes to water sport. 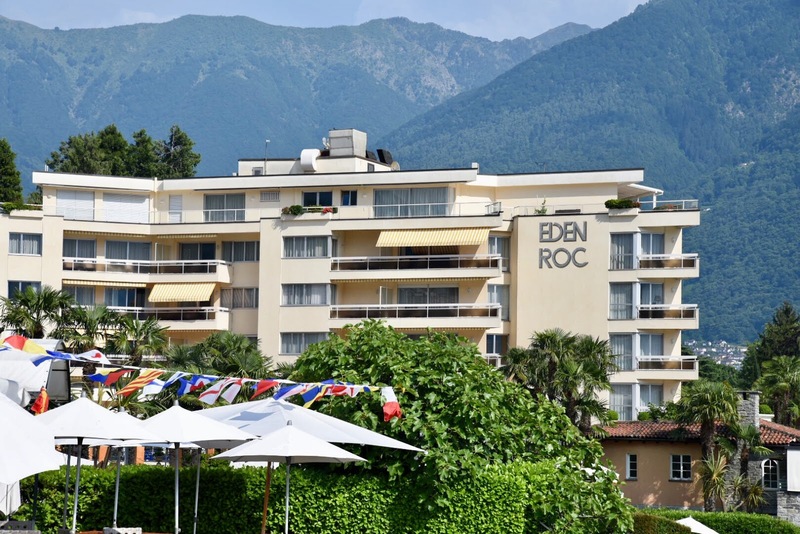 And imagine, the Eden Roc topped several major hotel ratings in the recent past, as leading vacation hotel in Switzerland! As already mentioned, the hotel’s location is hard to beat! 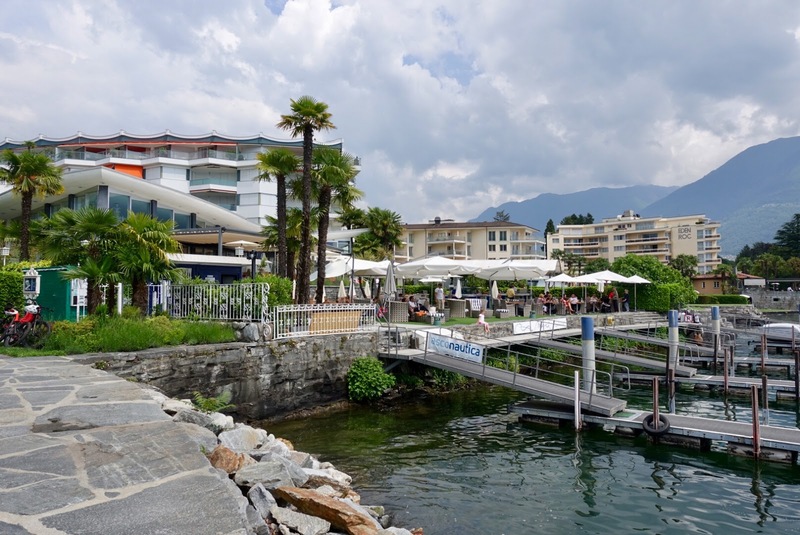 Unlike the other mentioned luxury hotels in Ascona it is centrally situated, a few steps from the lakeside promenade where all the activity in this former fishing village with its southern charm takes place. And it boasts with a lakefront that other hotels can only dream of. 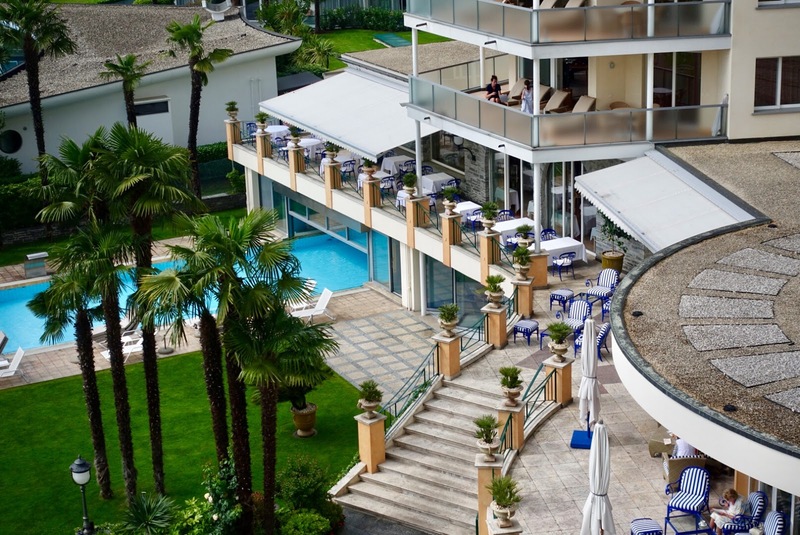 When staying at the Eden Roc, you get indeed three hotels in one because it is the product of a gradual merger with two neighboring hotels, first with the Europe au Lac and later on with the Ascolago. This resulted in an ample resort with 95 rooms and four restaurants. 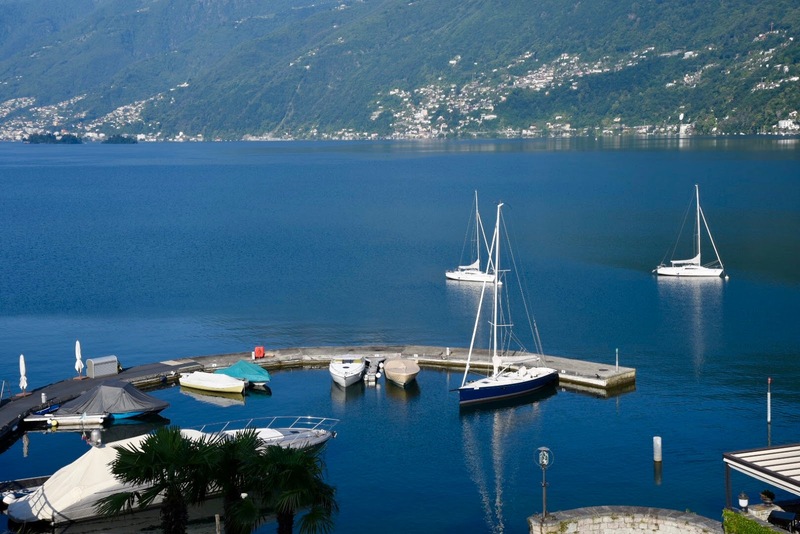 There are extensive lakeside gardens, three pools, a private marina, a water sport center, a 2,000 sqm (21,500 sqf) Spa and four restaurants. As outlined, the Eden Roc is comprised of three different hotels. The main building is the one where the original Eden Roc was housed, the one on the left side seen from street where you also find the reception area. Given its history – and also the age of the buildings, from the 1970s – it cannot be described as harmonious picture. Having said that, it was tried to make the best of it. When it comes to design, Carlo Rampazzi, a local interior designer, was in charge. His extravagant style is certainly not everyone’s cup of tea, but for sure it attracts attention. 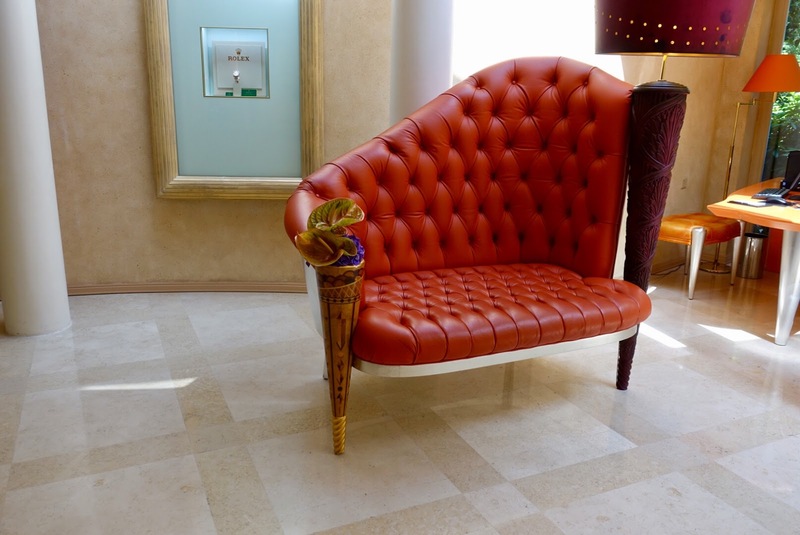 His design can best be described as elegant and flamboyant mixed with artsy and kitschy details. There is quite a wide range of room categories. While there is a number of accommodations with panoramic or partial lake vistas there are also some with views of the parking lot. 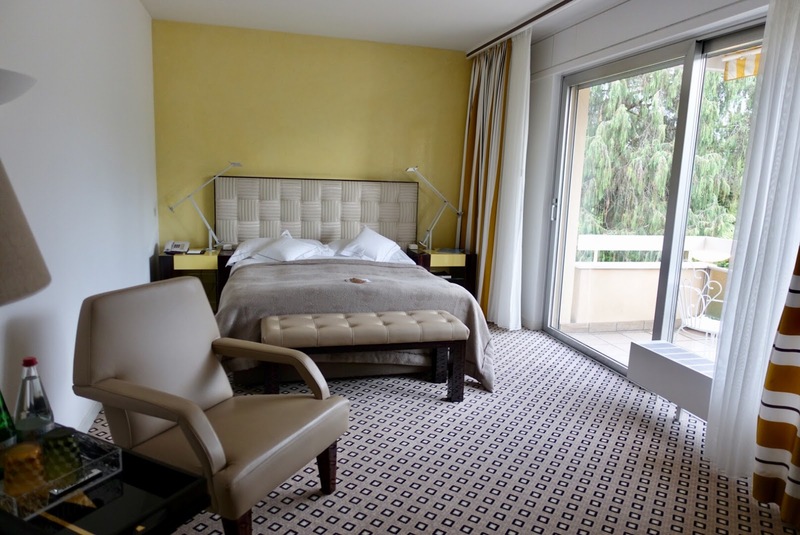 All the rooms in the original building are renovated, also the ones in the former Ascolago part, Eden Roc Marina, (the one nearest to the town center) were refurbished when integrated into the hotel complex. Our family opted for a Deluxe Lake View Room for my husband and me as well as for a Comfort Single Room for our son. and a spacious balcony with a spectacular view, which could not be better! When it comes to style, I found Carlo Rampazzi’s style implementation in our room very attractive! and a small balcony with views of the neighboring property. In my view, rooms are priced adequately. 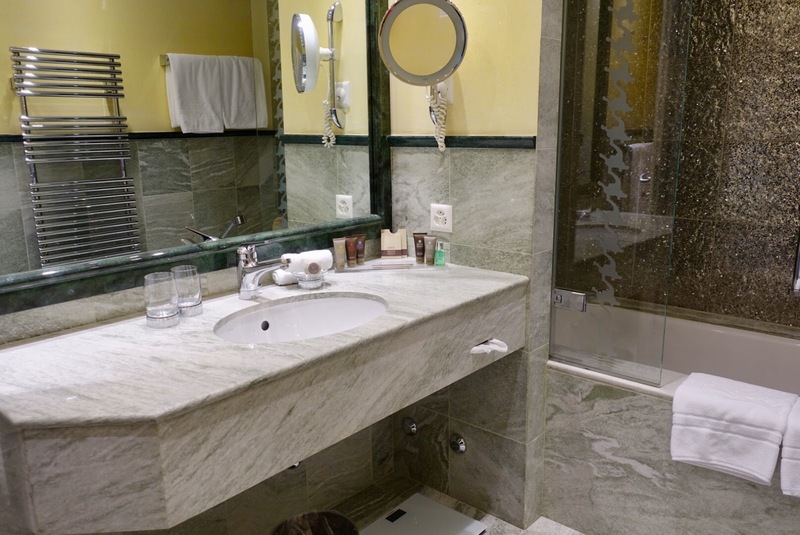 Given the fact that that our room (Deluxe Lake View) was not especially large and the bathroom small, I consider rates from 529 to 797 SFR (per day and room including breakfast) as appropriate. As from 2017, a new director – Andreas Gartmann – was appointed. When my family stayed at the Eden Roc, he welcomed everyone and chatted with the guests on the occasion of a generous champagne reception on the jetty. All the staff we encountered during our stay was amiable, attentive and informative, it cannot be faulted. 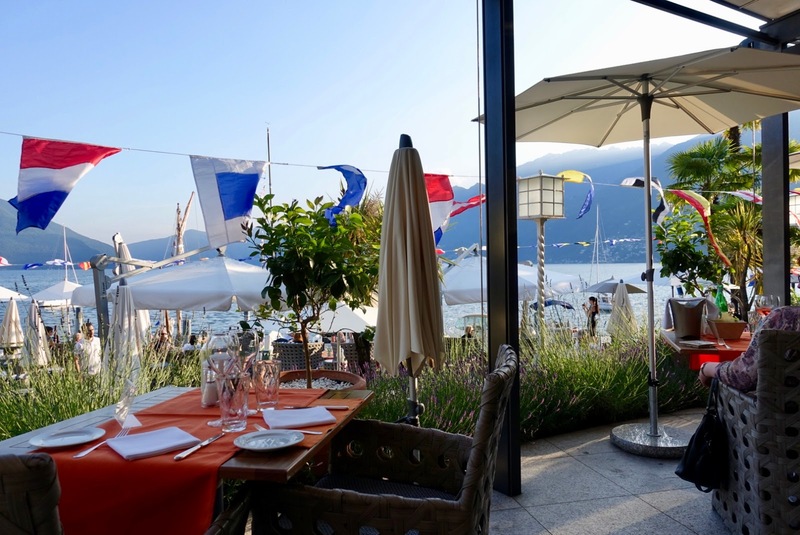 There is much choice when it comes to restaurants, four of them onsite and an additional one in the sister hotel Albergo Carcani on the lakeside promenade in the heart of Ascona! 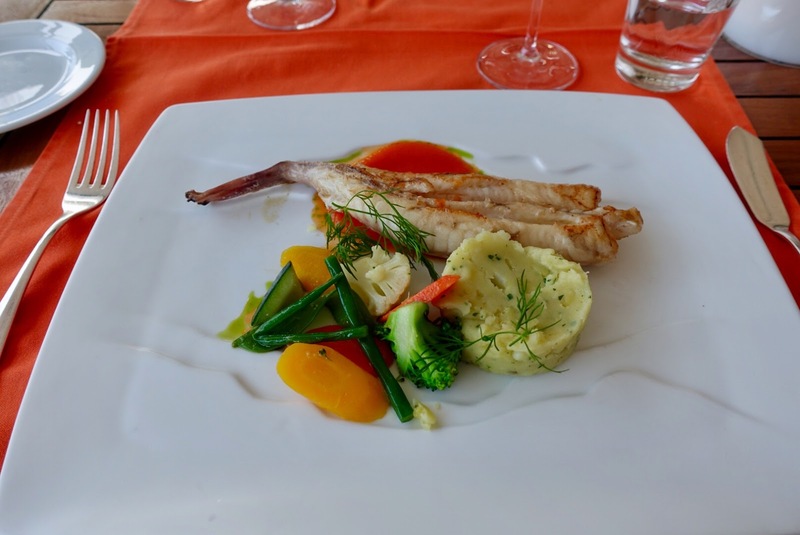 We opted for the Resort Dine Around – you pay 70 SFR per night and person, you order whatever you want and 80 SFR per night and person are deducted from the check. 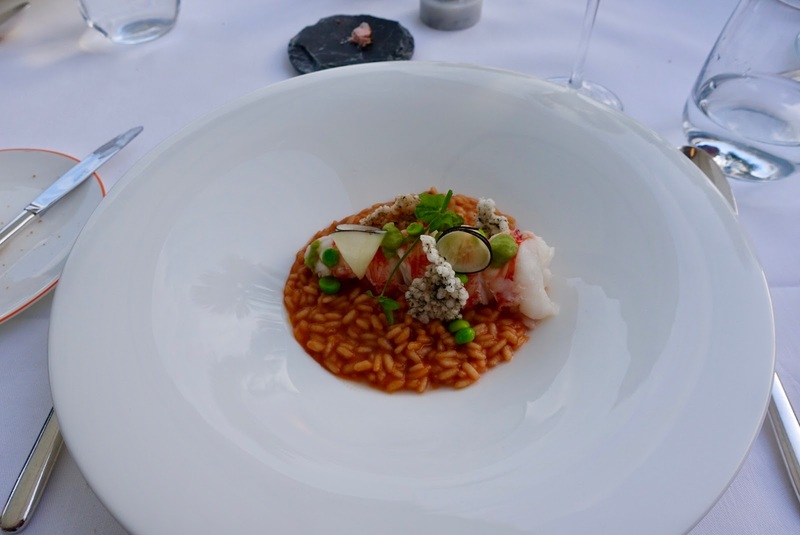 Out of this selection we went for the following restaurants – not choosing the above mentioned outside restaurant and the Ristorante Eden Roc with newly interpreted classics awarded 15 Gault Millau Points (the “breakfast restaurant”). This was our choice for the first day, which was a bit overcast and windy, so not the perfect occasion for a restaurant with outdoor seating only. There where plastic walls installed, which did not always offer a good enough protection against the winds. Anyway, the setting must be dreamlike on a hot summer evening! The atmosphere is quite intimate as there are not that many tables and if feels rather relaxed. What I found a bit disturbing was the outdoor kitchen, which brings along some immissions. It was not too bad and probably a consequence of the installed plastic walls but nonetheless somewhat bothersome. 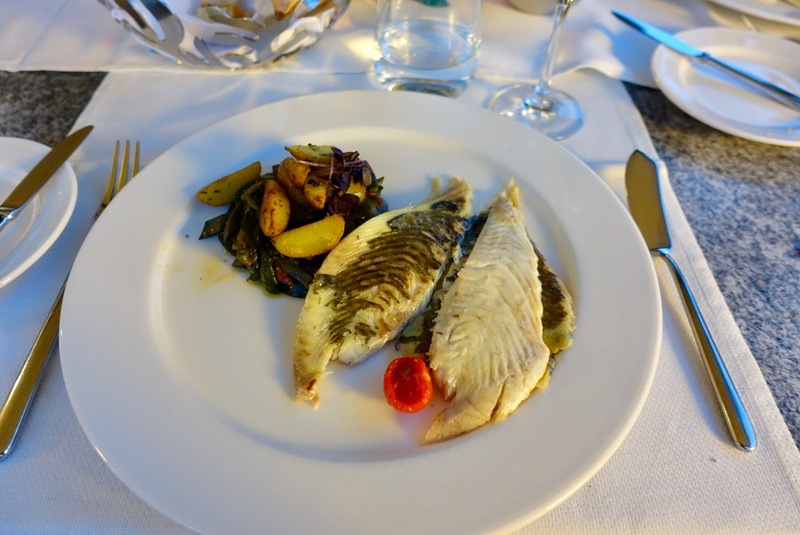 There is quite a small menu, homemade pasta as well as fish and meat options from the grill. 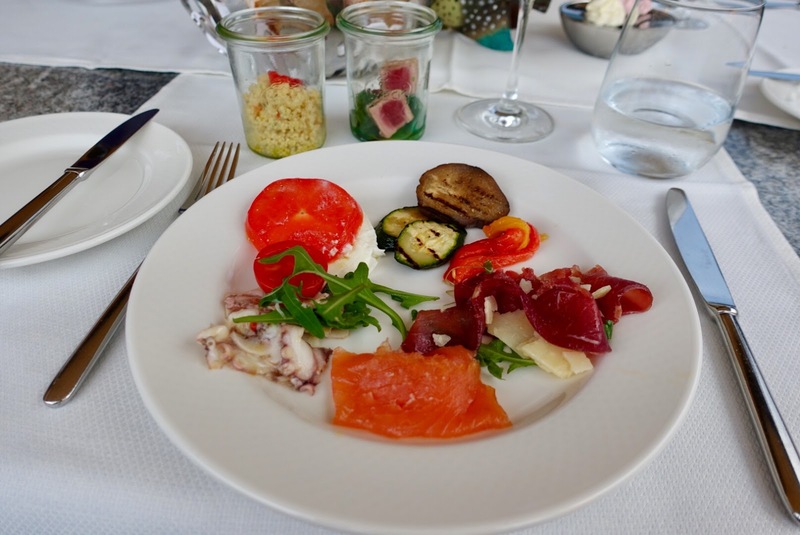 We went for the Mediterranean antipasti buffet, which offered a good selection of delicate and well-prepared dishes. This is the flagship restaurant onsite, and my family dined here twice! We highly enjoyed the meals although we got the same array of nibbles, amuse bouche, pre-dessert and friandises twice but we did not mind because they were so delicious. 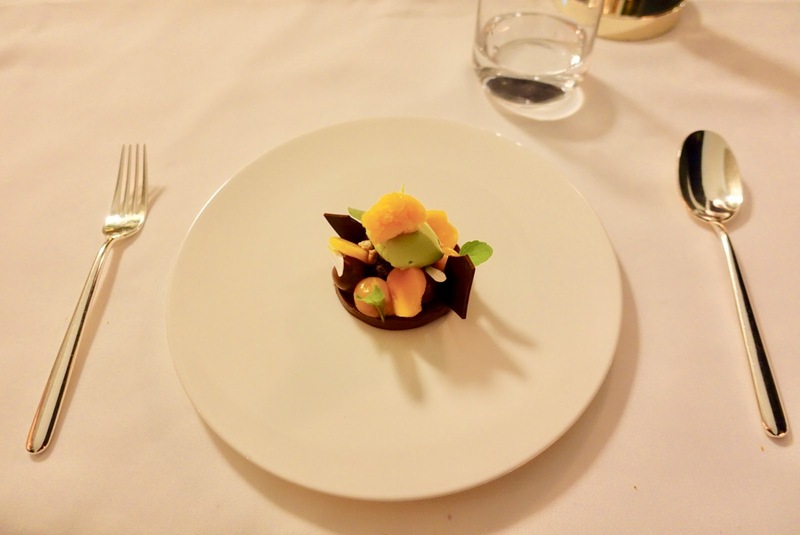 Whereas we had the smaller menu (four courses, water and earth) on our first visit, we dined a la carte (three courses) the second time and both time we were blown away by the inventive cuisine, the quality of ingredients as well as their preparation and presentation! Of course, cooking this good does not come inexpensive (e.g. four-course-menu 145 SFR). 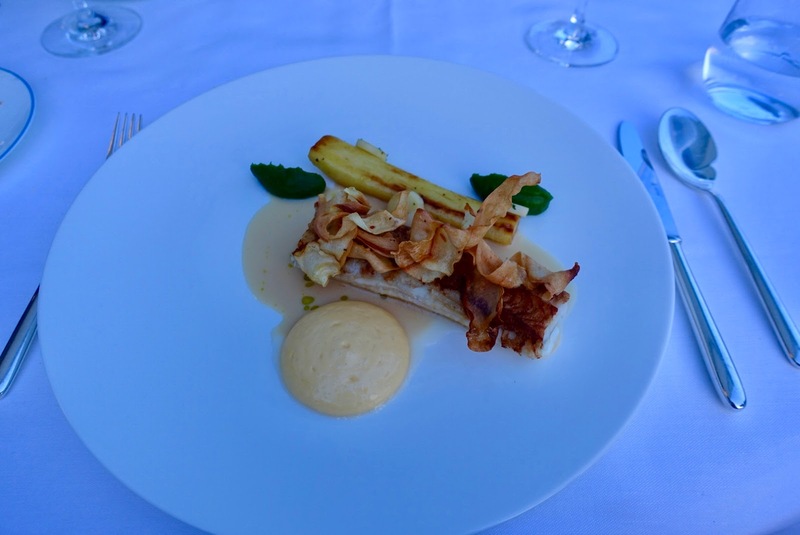 We were surprised that the cuisine has not been awarded a Michelin Star yet, this should be merely a matter of time! 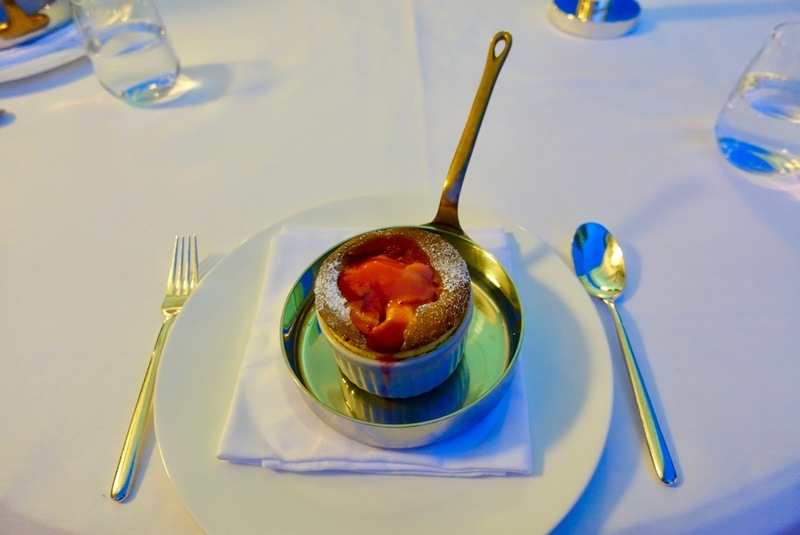 or a divine curd soufflé with mango and passionfruit. As the weather permitted it on both evenings, we had dinner on the terrace, which is a very nice thing to do with beautiful views of the gardens and the lake. 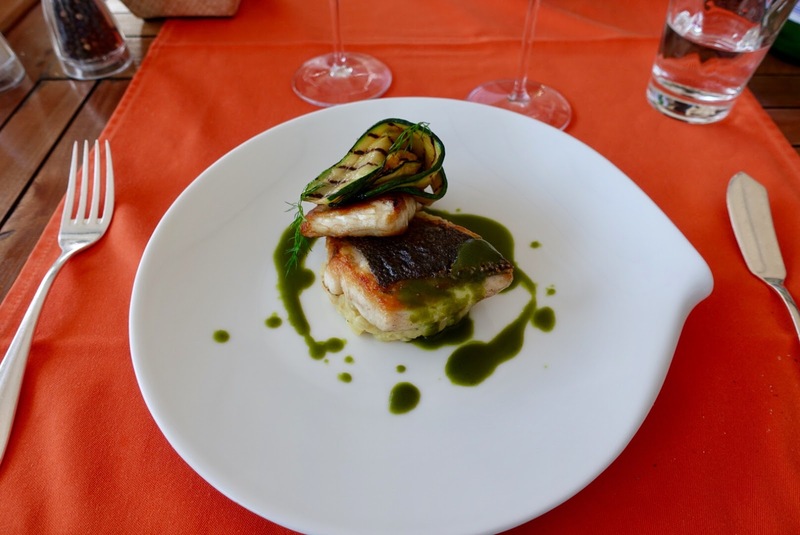 If you seek modern cuisine in a relaxed ambiance, then you have to go to this dining-spot, which is also very popular with people not staying at the hotel. The setting is nice, once again we were seated outside and enjoyed a lake view from a new perspective. 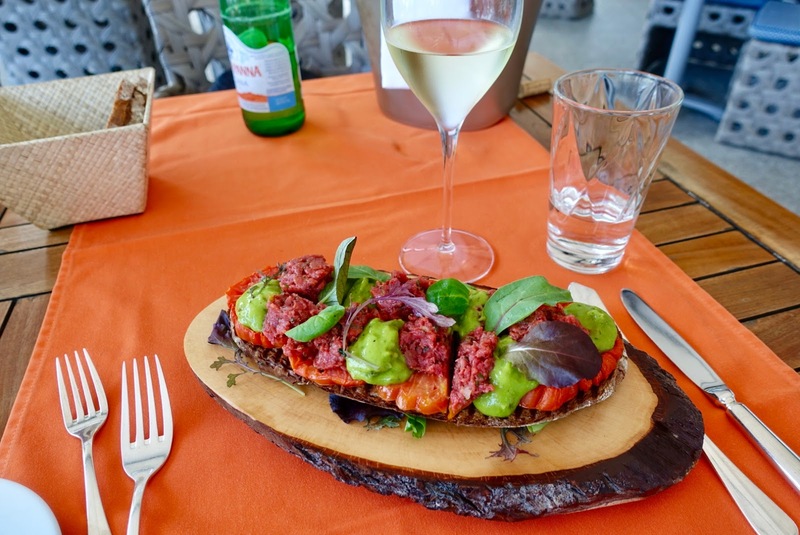 A wide choice of dishes is available: a variety of salads and starters just as different tartare dishes and bruschettas, pasta, several fish and few meat dishes. Many of the former options can be ordered as a starter or as a main course, which is a good thing in case you do not want to have fish or meat. resp. 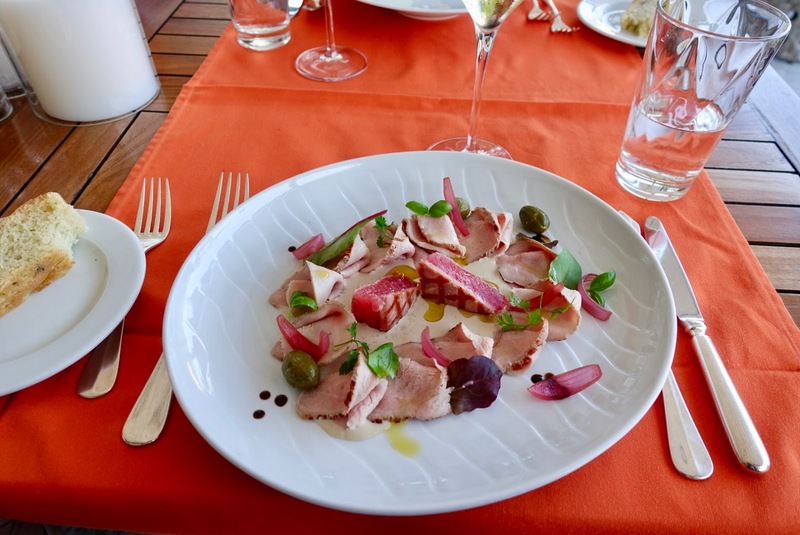 vitello tonnato with grilled tataki tuna. 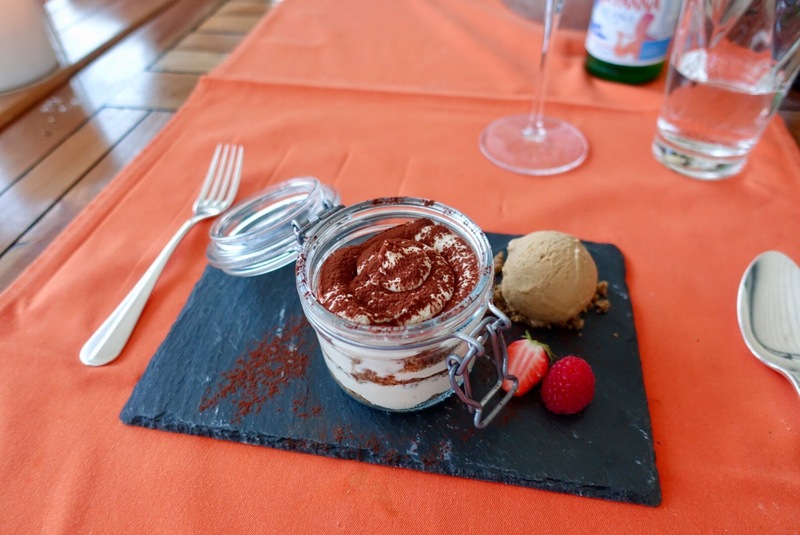 and a tiramisu Marina (with its ice cream). 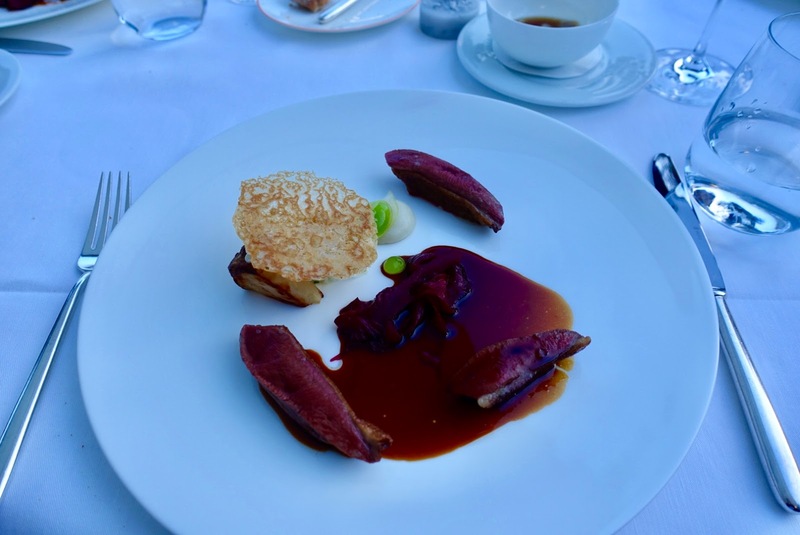 All the dishes we had were not only tasty, perfectly prepared and nicely arranged but came with a modern twist, which was appreciated by us as we like to be surprised when eating out. Staying at the Eden Roc hotel was an enjoyable experience. The prime lake front setting and the immaculate facilities make it the perfect vacation hotel when seeking an “near-Mediterranean feeling” without actually going that far. In terms of rooms it has to be said that double rooms are neither spacious nor ultimately luxurious. Having said that, they are well-appointed and accordingly priced. When it comes to views, I think we were a bit lucky with the room we were allocated. In my opinion, there are not that many rooms with a comparably similar good vista! Thus, you may be well advised to inquire accordingly at the time of booking. 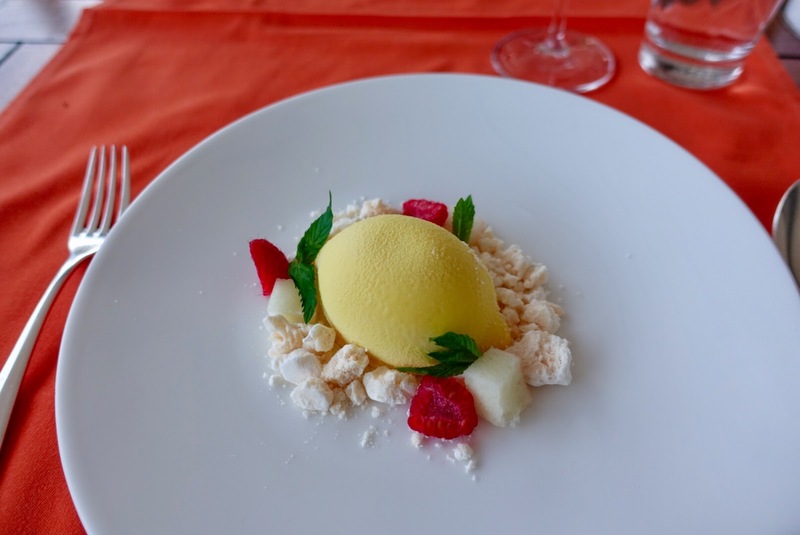 Facing the decision whether to opt for the Eden Roc or the Castello del Sole – no comments to Giardino as my last stay here dates way back – I can give the following recommendations. 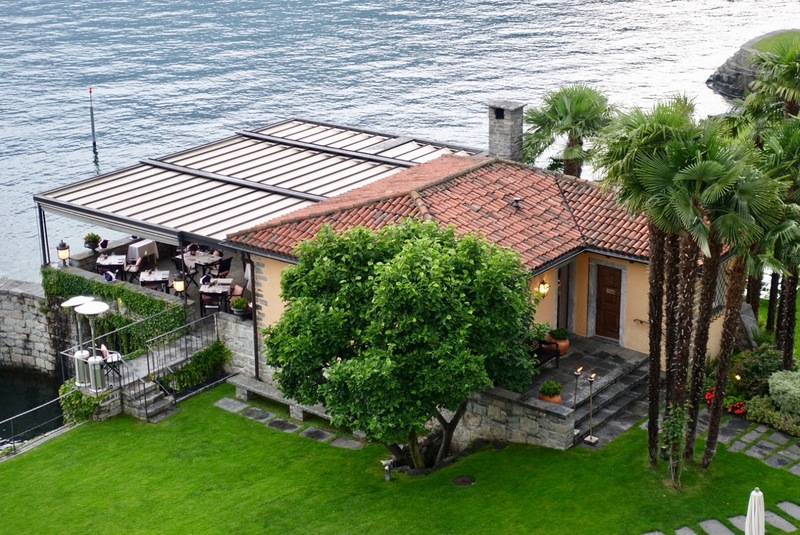 Go for the Eden Roc if you prefer a great lake front and closeness to the town center, opt for the Castello del Sole if you favor a property with a sensation of vastness and proximity to nature.